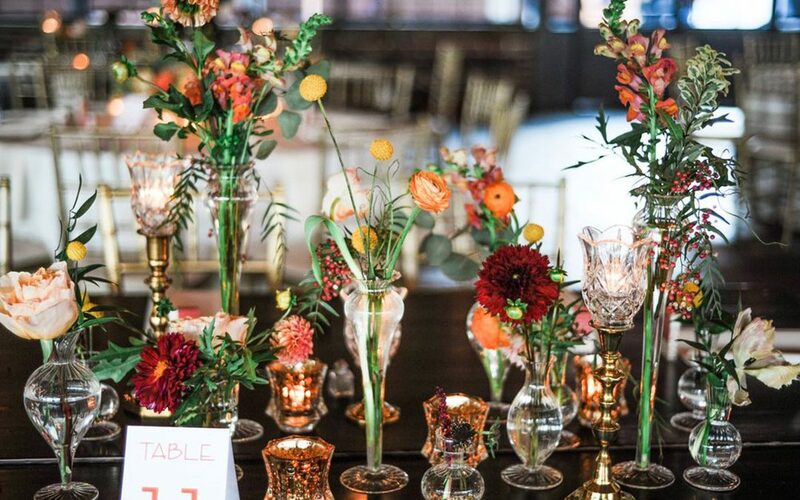 Creating unique tablescapes and piecing together playful arrangements is one of the many perks about our job! 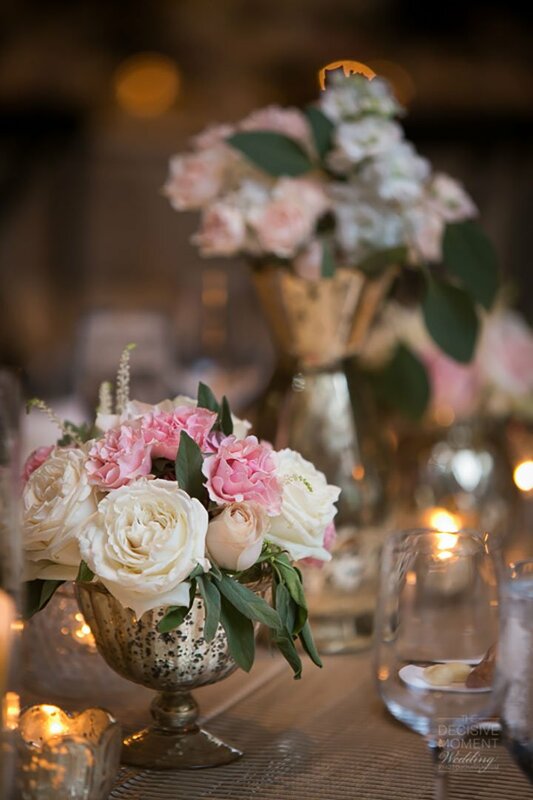 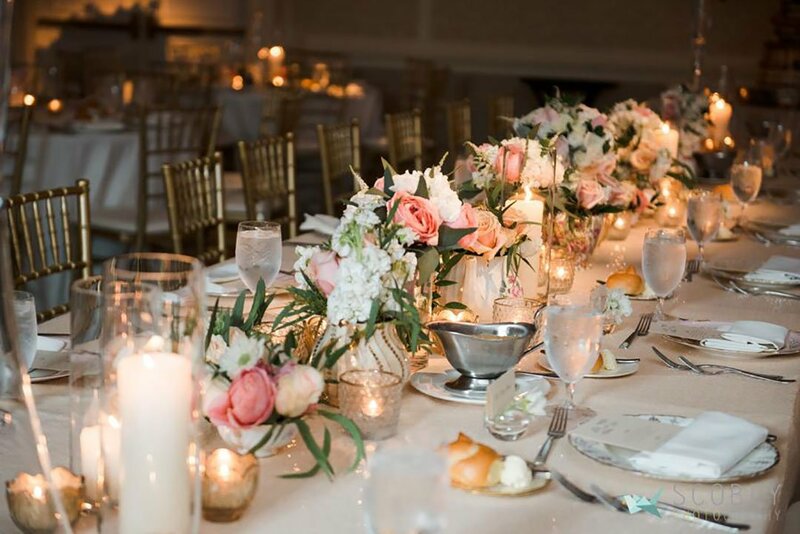 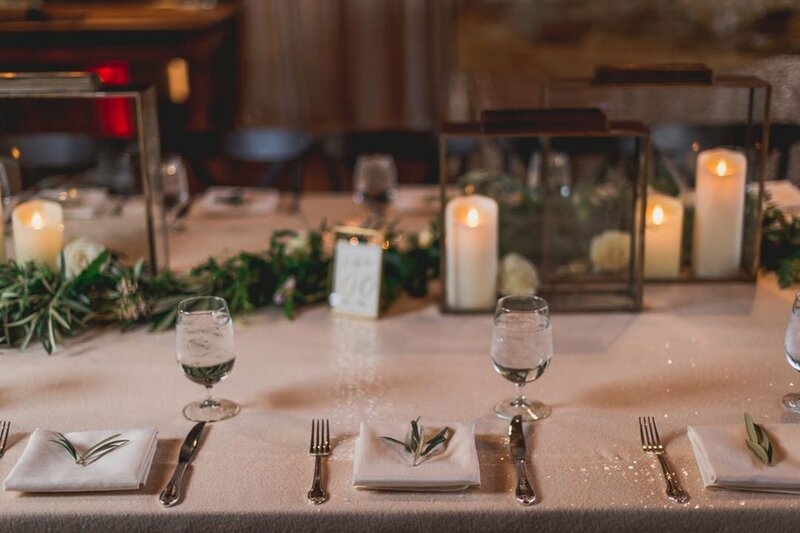 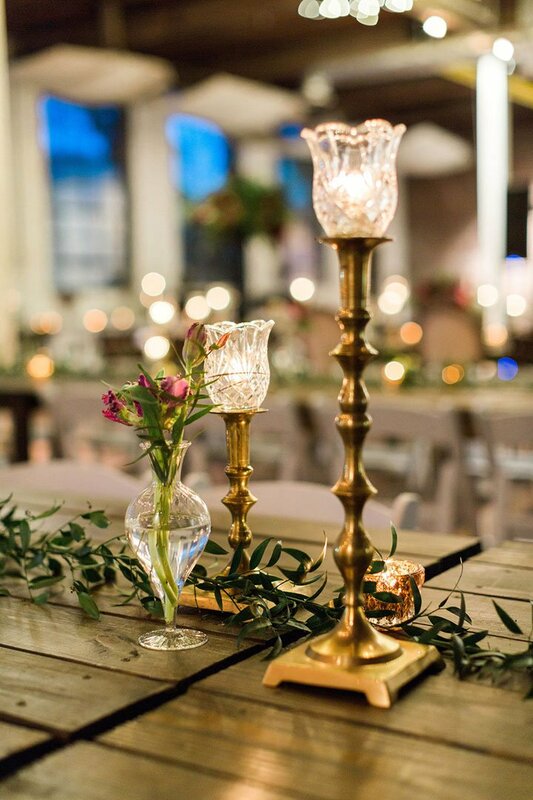 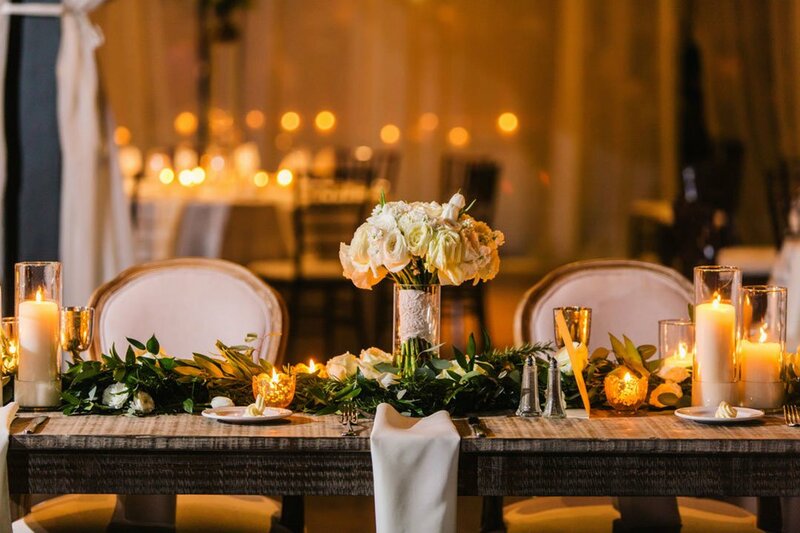 Each table doesn’t need a tall or low and lush arrangement, we love when we get to fill the table with candles, greenery, or small floral touches in bud vases. 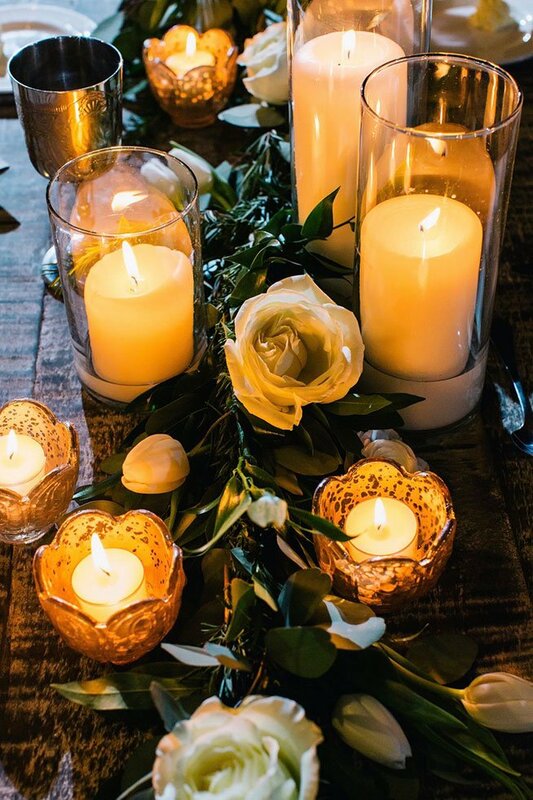 What’s best about this is each composition is different and unique to the table! 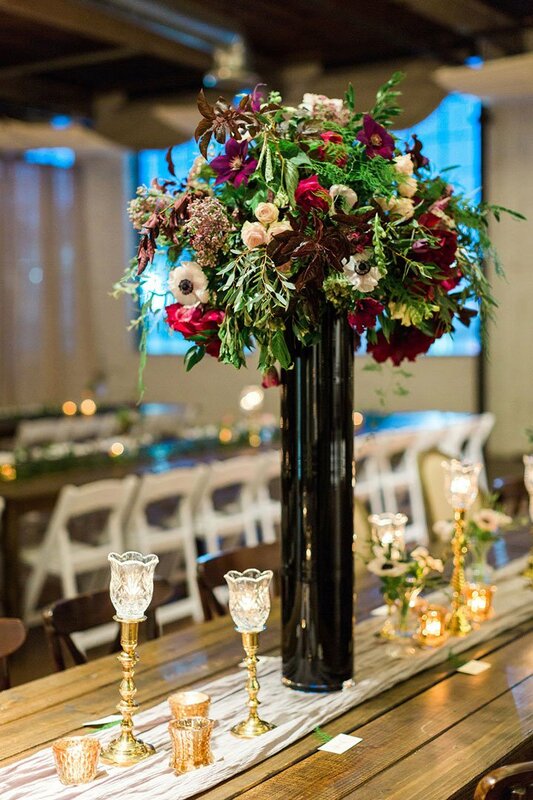 We use a mixture of elements with various heights to add dimension and what we’d consider a little bit of eye candy.